Pininfarina outlined its recapitalisation plan and revealed that Vincent Bolloré, Tata Limited, the Italian businessmen Alberto Bombassei and Piero Ferrari, and the Marsiaj family have all expressed an interest in taking part. The Pininfarina family will underwrite its pro rata share of the capital increase, exercising the rights it will receive, relying in part on the support of new investors. In this regard, in addition to Vincent Bolloré, who has already stated his willingness to support the capital increase, Tata Limited, the Italian businessmen Alberto Bombassei and Piero Ferrari, and the Marsiaj family have expressed an interest in such a transaction. EBITDA represent the profit or loss from operations before depreciation, amortization and additions to provisions/The result from operations is equal to EBIT before deducting extraordinary writedowns/EBIT represent the profit or loss from operations. Pursuant to of Article 154 bis, Section 2, of the Uniform Finance Code, Gianfranco Albertini, in his capacity as Corporate Accounting Documents Officer, declares that the accounting information provided in this press release is consistent with the information in the supporting documents and in the Company’s other documents and accounting records. The 2007 value of production shows an increase of 13.9% compared with the amount reported in 2006, reflecting the positive impact of the Ford Focus Coupé Cabriolet order in its first year of full production. EBITDA were positive by about 12.8 million euros, confirming that the turnaround that began in the last few quarters is continuing and gaining momentum. When a comparison is made with the negative EBITDA of 11.9 million euros reported in 2006, the Groups’ performance is even more impressive, with EBITDA growing by 24.7 million euros. The result from operations (loss of 33.8 million euros) also improved, compared with a loss of 43.5 million euros in 2006, reflecting the contribution of efficiency gains at the Group’s Italian production facilities. The programs implemented to increase operating efficiency and reduce fixed costs succeeded in bringing the Group back to profitability at the EBITDA level, but the benefits they produced were not large enough to offset the cost of depreciating the capital assets in which the Group invested in previous years in anticipation of substantially higher production volumes than those achieved in 2007. Moreover, the result from operations reflects in part the reduced contribution provided by gains on asset sales, which in 2007 were 7 million euros less than the previous year. EBIT were adversely affected by the need to adjust the carrying values of the Group’s assets to a level consistent with the projections of the new industrial and financial plan. Based on the results of an impairment test of loans receivable and other assets, the Company decided to recognize extraordinary writedowns to adjust downward the value of these assets, adding an extraordinary charge of 69.5 million euros to already negative EBIT. The impairment test was based on the production volumes already billed to customers and on a conservative estimate of volumes to end of contracts, compared with original investment payback projections. Net financial expense totaled 10.6 million euros, as against net financial income of 20.8 million euros in 2006. However, the amount reported in 2006 included extraordinary financial income of 22.8 million euros generated by the sale of trading securities. Net of non-recurring components, the increase in financial expenses is due to a rise in average indebtedness, the writedown of loans receivable and a reduction in interest income caused by the lower volumes generated by some production orders. The profit contributed by the Pininfarina Sverige joint venture amounted to 3.3 million euros, as against a loss of 0.9 million euros at December 31, 2006. The Group’s Swedish operations have benefited from the continuing commercial success of the Volvo C70, both in Europe and the United States. The loss for the year, which includes taxes of 3.8 million euros (tax benefit of 1.7 million euros at December 31, 2006), totaled 114.5 million euros, compared with a loss of 21.9 million euros in 2006. The loss for the year accounts for most of the reduction in shareholders’ equity, which decreased by 116.1 million euros, falling from 155.1 million euros in 2006 to 39 million euros at December 31, 2007. The net financial position was negative by 185.4 million euros. The deterioration of 64.5 million euros, compared with a negative balance of 120.9 million euros at the end of 2006, is chiefly the result of a writedown of loans receivable amounting to 53.6 million euros. An analysis of the data by business segment shows that the manufacturing operations generated value of production of 536.1 million euros (19.5% more than in 2006), which is equal to 80% of total consolidated value of production (up from 76% the previous year). For the reasons mentioned above, EBIT attributable to this business segment were negative by 106.7 million euros (loss of 44.9 million euros in 2006). The service operations, which include design, industrial design and engineering, reported value of production of 134.3 million euros (140.3 million euros at December 31, 2006), equal to 20% of total consolidated value of production (compared with 24% the previous year). EBIT attributable to this business segment were positive by 3.3 million euros, more than double the 1.4 million euros earned in 2006, This increase is the result of an improved performance by the Group’s international operations and reflects growth in services provided to non-Group manufacturers. To a very significant extent, the comments provided when reviewing the consolidated data are also applicable to those of Pininfarina S.p.A. Considering the Company’s operating performance in 2007 and in view of current negotiations to reschedule/refinance its indebtedness, the Shareholders’ Meeting did not approve a dividend distribution. - The launch of service activities related to the development of an electric car. The result from operations is expected to show a significant improvement, even though it will remain negative. At the end of 2008, the net financial position should not be much different from the level shown in the preliminary year-end data, due to the impact of the Financial Plan. The Industrial and Financial Plan approved by the Board of Directors on March 10, 2008 was presented to the Shareholders’ Meeting. The objectives of the new Industrial Plan are to maximize opportunities in the electric car business, refocus the Group’s contract vehicle manufacturing services, expand its design and engineering services and maximize the value of the Pininfarina Brand. The Company intends to be a leader in the market for electric vehicles, introducing by 2010 the first luxury city car under the Pininfarina brand, with zero emissions and zero fuel consumption. This project will thus be fully consistent with the approved guidelines, as they apply to strengthening manufacturing, leveraging knowhow and maximizing brand value. In developing its innovative electric car, Pininfarina will exploit both the outstanding competencies of the entire Pininfarina Group in the areas of design and product and process engineering and the knowhow and strong competitive advantage provided by the cutting edge technology developed by Bolloré, Pininfarina strategic partner, in the production of the Lithium Metal Polymer batteries that will be installed in the automobile, enabling it to deliver a better performance than competing vehicles. This new opportunity will allow the Company to approach more selectively the contract vehicle manufacturing business, with the specific goal of achieving lower risk and higher profitability than under its current contracts. The joint venture with Volvo will continue to be a strategic asset for the Group in this area. The Group’s Design and Engineering operations — which have grown steadily in recent years enabling Pininfarina to achieve a market share of more than 7% and rank among the top five European companies in this industry — will be a further source of growth: the Design organization, which recently won accolades at the Geneva Motor Show for its Sintesi concept car, will fully leverage its strong position in the luxury goods market to seize opportunities created by growing interest in “green tech design,” while the Engineering activities will focus on integrating the proven competencies of the Group’s organizations in Italy, France, Germany and Morocco. - A ratio of net financial position to EBITDA of less than 1.0x by 2010. As announced when presenting the preliminary year-end data and the draft financial statements, the Company provided the market with exhaustive information about the Industrial and Financial Plan approved by the Board of Directors on March 10, 2008, both on the occasion of a meeting with members of the financial community and the financial press held at the Milan Stock Exchange on Thursday, April 24, 2008 and by publishing the English version of both presentations on its website the same day. By a communication dated April 24, 2008, File No. DEM/8038769, Proceedings No. 20081569/1, the Consob, the public authority responsible for regulating the Italian securities market, acting pursuant to Article 114, Section 5, of Legislative Decree No. 58/98, asked the Company to provide additional disclosures to supplement the information contained in its 2007 Annual Report in response to a series of requests for clarifications set forth in the abovementioned communication. As requested by the Consob, the remarks that follow provide explanations with regard to each of the abovementioned requests for clarifications. 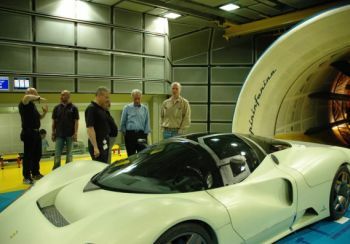 - Under the Plan, manufacture of the electric car will begin in 2010 with production starting at 2,000 units and ramping up to 15,000 units at full capacity in 2012. Insofar as the risks inherent in the overall implementation of the plan are concerned, the Company believes that they are not different from those entailed by any business endeavor. No problems are anticipated with regard to the expected performance of the service operations, whose contribution to total revenues was conservatively project to hold steady at the level reported in 2007. - The underlying assumptions applied to the new CVM product call for the Company to assume smaller commercial and financial risks, compared with the existing contracts, with an attendant reduction in projected volumes, compared with the two main current production contracts. - As for the risks specifically related to the production and marketing of an electric car, they arise from the degree to which the market will be willing to accept a product that embodies technologies and a manner of use that are substantively different from those of products currently on the market. Information about the opportunities available in this business segment is provided in the presentation made to the financial community of April 24 and today. 2. Remarks by the Board of Directors in response to the qualifications contained in the reports of the Independent Auditors and the Board of Statutory Auditors regarding the existence of significant doubts about the Company’s viability due to uncertainties about the project to reschedule/refinance its bank debt and carry out a related share capital increase. The documents made available to the shareholders in connection with the statutory and consolidated financial statements at December 31, 2007 show that the Independent Auditors retained to audit the financial statements of Pininfarina S.p.A., in the report provided pursuant to Article 156 of Legislative Decree No. 58/98, made reference “to the planned rescheduling/refinancing of the bank indebtedness and the related share capital increase, the outcome of which, uncertain at this point, could raise significant doubt about the Company’s future viability." The Board of Directors believes that the possibility of executing a rescheduling/refinancing agreement is realistic, since all of the banks that are expected to sign the agreement have given the Company their full support. Specifically, their support is demonstrated by the well-known fact that, since December 2007, there has been in place a moratorium of principal repayments owed by Pininfarina S.p.A. under the existing loan agreements with which all of the lender banks that are expected to be parties to the abovementioned rescheduling/refinancing agreement (with the exception of Fortis Bank S.A - N. V.) have complied. The definition of the rescheduling/refinancing agreement, which in all likelihood will occur during an extension of the existing moratorium, is expected to take place within a few weeks. Once this agreement is executed, the share capital increase will be carried out with the timing and terms decided by the Board of Directors, consistent with the indications provided in the accompanying report submitted with the motion to grant the Board of Directors the power to increase the Company’s share capital, pursuant to Article 2443 of the Italian Civil Code, and described in the answer provided in Item 7 below. As explained repeatedly in the past, the Board of Directors may exercise the power to increase the Company’s share capital, provided such power is granted by today’s Extraordinary Shareholders’ Meeting, only if the agreement to reschedule/refinance the existing bank indebtedness that is currently being negotiated can be concluded and, in any case, taking into account conditions in the financial markets. Against this background, the Company is also in negotiations with major banks for the purpose of awarding them the assignment of establishing a consortium to guarantee the underwriting of the capital increase. The Board of Directors, having been informed of the advanced stage reached by the negotiations of an agreement to reschedule/refinance the Company’s indebtedness, believes that, under the circumstances, it is highly likely that such an agreement will be reached quickly. It is important to note that, irrespective of market conditions and of the implementation of the share capital increase, the Company is solvent and generates sufficient cash flows to justify, over the medium term, the definition of an agreement to reschedule/refinance its existing bank indebtedness over a time horizon, consistent with current market practices. The accuracy of the situation described is also demonstrated by the fact that the resources generated through the share capital increase will be used to develop an electric car and strengthen the Company’s balance sheet and financial position and not to reduce indebtedness owed to the lender banks, which, consistent with the terms of the rescheduling/refinancing agreement, will benefit exclusively from the cash flow generated by the Company’s operations. The highly unlikely possibility that an agreement to reschedule/refinance the Company’s debt could not be reached with the lender banks would create some risk with regard to the Company’s viability. 3. Business outlook with indication of the main variables affecting the income statement, financial position and balance sheet that the Company can reasonably anticipate will be viewed by the market as necessary for an informed decision about its expectations, and of the uncertainties entailed by the process of quantifying these expectations and determining the fiscal year in which the Company will regain its overall economic equilibrium. The expectations for the current year were presented at the meeting with the financial community held on April 24, 2008 and at the Shareholders’ Meeting. A table with the highlights of the 2008 targets is included in a presentation that can be downloaded from the Company website and was distributed to the shareholder attending the Shareholders’ Meeting. Early results for the current year confirm that these targets are achievable. Under the plan, breakeven at the operating level is projected for 2009. At present, it is still impossible to determine the year when bottom-line breakeven will be achieved because work is still ongoing on the definition of the financial plan and, consequently, assumptions about debt service costs in future years are not yet sufficiently reliable. 4. Bank debt exposure, as of the most recent date after December 31, 2007, listing the types of facilities, amount of credit provided and used, currency, maturity and status of each facility, with detailed information about any debt collection actions taken by banks, financial institutions or other parties. - Indebtedness for utilization of short-term credit lines of 53.5 million euros. Excluding the amount previous provided by Fortis Bank S.A.- N.V. (10 million euros), the amount currently available under short-term credit lines is 60 million euros. Pending the conclusion of an agreement to reschedule the existing debt, the average maturity of indebtedness owed under finance lease and bank facilities is 2.5 years. As for the distinction between current and long-term debt, the long-term portion of the Company’s indebtedness, when computed in accordance with the criterion provided in IAS 1.65, amounts to 11.8 million euros. At present, aside form the action filed by Fortis Bank S.A.- N.V., which is discussed in Item 6 below, no credit collection action has been taken by banks, financial institutions or other parties. 5. Description of any financial compliance covenants contained in the existing loan agreements and information about them. The existing loan agreements (including contracts with leasing companies) do not contain financial compliance covenants. However, some contract do include commitments and obligations that are customary in such types of credit facilities, including negative pledge clauses (commitment to refrain from providing some lenders with collateral or guarantees) and pari passu clauses applicable to all lender banks. Pininfarina S.p.A. has scrupulously complied with these clauses. Thus far, Fortis Bank S.A. – N.V. is the only bank that has filed a legal action against Pininfarina S.p.A.
More specifically, as explained in the section of the Report on Operations entitled “Significant Events Occurring Since December 31, 2007,” on March 28, 2008, the Company was served with a temporarily enforceable injunction for the amount of about 35 million euros obtained by Fortis Bank S.A. – N.V. on March 18, 2008. This injunction is for the repayment in full of financing provided on January 20, 2006, with respect to which, pending the negotiation of the moratorium agreement, Pininfarina S.p.A. failed to pay a single principal installment of 3,500,000 euros due on December 31, 2007, but did pay the corresponding accrued interest. - alternatively, find that Fortis Bank S.A.- N.V. is only entitled to the payment of a single principal installment and, consequently, void or revoke the challenged injunction or rule that it is void or ineffective or, otherwise, reduce the amount of the challenged injunction. In the meantime, on April 19, 2008, Fortis Bank S.A.- N.V. notified an additional temporarily enforceable injunction for about 10 million euros concerning the repayment of financing provided to Pininfarina S.p.A. pursuant to an agreement for the establishment of a credit line executed in October 2004. With regard to this agreement, Fortis Bank S.A.- N.V. availed itself of the ad nutum cancellation clause, while a moratorium agreement was being negotiated with all of the lender banks, even though Pininfarina S.p.A. had performed all of its obligations under this agreement. 7. Factors upon which the Directors will base decisions about the timing and amount of the upcoming share capital increase; update about the negotiation for the establishment of a guarantee consortium and indications about the willingness of the Company’s shareholders to underwrite the share capital increase. A. As explained in the report of the Board of Directors that accompanies the motion to amend Article 5 of the Bylaws for the purpose of delegating to the Board of Directors the power to increase the Company’s share capital, the power thus delegated will be exercised only after an agreement to reschedule/refinance the Company’s indebtedness is executed and consistent with the terms of such an agreement. In view of the abovementioned circumstances and in order to allow maximum flexibility in the manner in which the share capital increase will be carried out, the proposed delegation of power would allow the Board of Directors to increase the Company’s share capital — by a total amount of about 100 million euros, including additional paid-in capital — in one or more installments and, possibly, through the use of warrants attached to the newly issued shares. Moreover, the Board of Directors would have the power to determine the timing of and any other issue related to the share capital increase, including the subscription price, taking into account conditions in the financial markets and the price of the Company’s shares, in order to determine the best possible moment for the implementation of the share capital increase. The timing and conditions of the share capital increase and the determination whether warrants should be issued and/or whether the share capital increase should be carried out in one or more installments will be determined by the Board of Directors consistent with the terms of the refinancing agreement and any restrictions contained therein and, in any case, taking into account market conditions and the price of the Pininfarina shares. At this point, no decision has been made with regard to these issues because, as explained in Item 2 above, the Company is currently in negotiations with its lender banks, which have agreed since December 1, 2007 to a moratorium of principal repayments, to define the terms of an agreement to reschedule/refinance the existing indebtedness. B. As for the guarantee consortium, in March, the Company began negotiations with two major banks to define the terms of the assignment to establish such a consortium. Currently, these negotiations are still ongoing, since the terms of the assignment must be consistent with the terms and conditions of the debt rescheduling/refinancing agreement, which, as we all know, have not yet been defined. C. Lastly, with regard to the willingness of the shareholders to underwrite a portion of the share capital increase, the Company confirms that, as announced to the market, the entire portion of the share capital increase for which the companies controlled by the Pininfarina family will be offered subscription rights will be underwritten by these companies and, in all likelihood, other investors. Specifically, the abovementioned companies are expected to subscribe a sufficient number of newly issued shares to ensure that, after the share capital increase is implemented, the Pininfarina family will continue to hold an equity interest equal to at least 30% of the entire share capital. To the best of the Company’s knowledge, the rest of the newly shares for which the Pininfarina family would receive option rights would be subscribed by investors who have expressed an interest in acquiring an equity interest in Pininfarina S.p.A., to whom the Pininfarina family would sell the corresponding option rights. At present, these investors include Vincent Bolloré, Tata Limited, the Italian businessmen Alberto Bombassei and Piero Ferrari, and the Marsiaj family. The preceding information, which is being provided to comply with a request by the Consob, has been forwarded to the Board of Statutory Auditors for any relevant observations. The Board of Directors currently in office was elected by the Shareholders’ Meeting of May 12, 2006, which set at nine the number of Directors sitting on the Board. Following the resignation of the Director Franco Bernabè on September 28, 2007, the Board of Directors has eight members. The decision not to fill the vacancy caused by Mr. Bernabè’s resignation is based on the consideration that future share capital transactions could alter the Company’s shareholder base and require changes in the composition of the Board of Directors. For this reason and considering that Article 15 of the Bylaws allows for a Board of Directors comprised of seven to eleven members, the Shareholders’ Meeting approved a resolution reducing from nine to eight the number of Directors who will be sitting on the Board, until a different resolution is approved. The Shareholders’ Meeting also approved the purchase of up to 400,000 treasury shares. Up to 250,000 of these shares will be reserved for the implementation of the 2002-2004 and 2005-2007 stock option plans reserved for executives of the Company and its Italian subsidiaries. The authorization to purchase the treasury shares, in one or more installments, will be valid for 18 months from the date of the resolution. The share may be purchased at a price that shall not be more than 15% lower or more than 15% higher than the closing price of the shares for the stock market trading session held on the day before the transaction. Lastly, the resolution authorizes the sale at any time, in one or more installments, of the treasury shares already held and of those purchased pursuant to the foregoing resolution. The sales price may not be lower by more than 10% than the closing price of the shares for the stock market trading session held on the day before the transaction or, if the shares are used in connection with stock option plans, less than the market value of the share at the time the options were awarded, computed in accordance with the applicable tax laws. Currently, Pininfarina S.p.A. holds 15,958 treasury shares, equal to about 0.2% of the entire share capital. Upon the approval of today’s resolution, the Shareholders’ Meeting voided an earlier resolution dated May 11, 2007, pursuant to which the Company purchased 40.352 shares (average price 25.65 euros) and sold 52.192 shares (average price 23.14 euros). These purchases and sales were executed to implement the 2002-2004 and 2005-2007 stock option plans. The Shareholders’ Meeting, acting pursuant to Article 2443 of the Italian Civil Code, authorized the Board of Directors, for a period of up to 5 years, to carry out, in one or more installments, a contributory share capital increase of up to 100,000,000.00 to be implemented through the issuance of common shares that the shareholders of Pininfarina S.p.A. may acquire through the exercise of subscription rights. The abovementioned authorization empowers the Board of Directors to determine, on each occasion, the manner, terms and conditions of the capital increase, including the subscription price, taking into account market conditions and the prices of the Pininfarina shares during the period immediately preceding the transaction. The Board of Directors is also authorized to determine on each occasion the portion, if any, of the share capital increase that will be reserved for the exercise of warrants and the required warrant regulations. The share capital increase will be used to develop the Pininfarina electric car, strengthen the Company’s balance sheet and financial position and support the implementation of the industrial and financial plans approved by the Board of Directors on March 10, 2008. Lastly, the Shareholders’ Meeting amended Articles 9 and 24 of the Bylaws, which concern, respectively, the deadline for convening Shareholders’ Meetings and the limit on the number of governance posts that may be held by Statutory Auditors, making the abovementioned provisions consistent with recent changes in the applicable regulations.